Ever since humankind first started playing around with electronic synthesizers, back in the prehistoric dawn known as the 1960s, it has understood the possibilities for applying this wonderful technology to existing music forms or fusing it to those forms to make a new hybrid. From Roger McGuinn trying out a Moog raga to the work of Terry Riley, Eastern music with its drones and frequently mystical overtones has seemed an obvious choice to join with the transcendent potential of electronic music. Like every craft practised in this world, it has been done very well, and it has been done very, very poorly. In fact, there is a now a whole subgenre of new age devoted to it, the nadir being the packaged and disinfected meditation CDs you see racked for cheap at your local Walgreen’s (Shopper’s Drug Mart if you live here in Canuckistan), bland synth pad music attributed to no musician, which could have been spewed out by an autobot, featuring some canned nature sounds, chanting monks or a tambura throbbing away in the background. I’m sure many of these are worthy and honest efforts in their own way by musicians who just want to make some money off the sort of music they love, but the existence of this pseudo-spiritual yoga trend music can lead to the perception that all attempts at traditional Eastern/ambient fusion music should be tarred with the same brush. To show you that this sort of thing can be done very, very well, without a hint of fromage and with a genuinely respectful spiritual flavour, I present the work of David Parsons. This New Zealander has been making this sort of music since 1980, and his work has only gotten better with time. (Read this article for a complete bio, also talking about his work as a world music producer.) 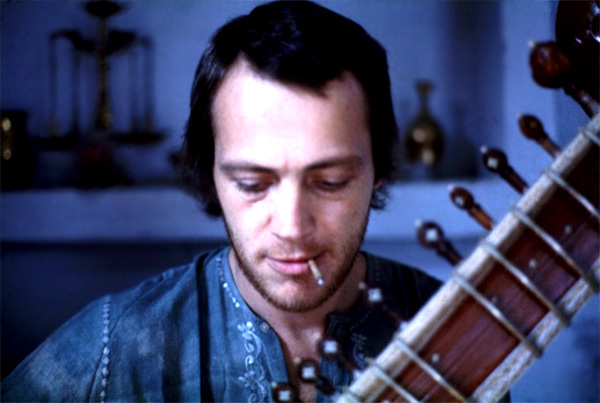 Clearly he is very influenced by the cultures of India and Tibet, because he uses elements of the music of those places in just about all of his work. And he understands how to incorporate the structure of that music to enhance his electronic compositions. Whether it’s chanting, gutteral Tibetans or it’s sitars, the effect is never gratuitous, and the synth and sequencing textures always fit in just right. 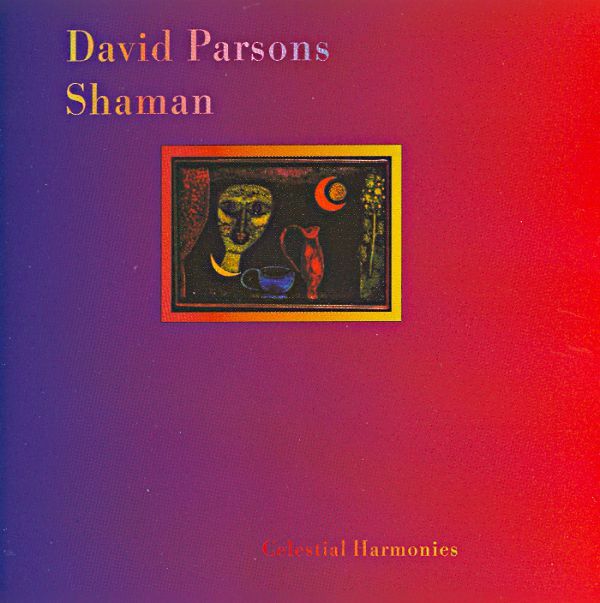 Often the tone of Parsons’ music is quite deep and moody, which stands in stark contrast to the cheery, shallow affirmation spirituality offered by a lot of new age music. 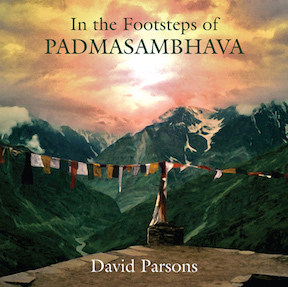 Parsons understands that Buddhist philosophy takes us to a bare and harsh realization of our transience before we can understand and truly live in the light, and his music actualizes that in sound. Parsons hit his stride in the 1990s with a series of great albums that has continued to this day. While with some notable exceptions the inspiration often seems to be Tibetan or north Indian music, there is enough variety to make all the albums well worth owning if you have a hankering for this sort of music. 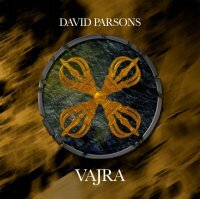 Parsons proves that a Westerner really can be inspired by the art and religion of another very different place and incorporate it into his music-making without a patronizing or schmaltzy result. It’s a true fusion of the best of two worlds, integrated perfectly. Let’s investigate his discography. I am missing a few albums but this is the bulk of, and the best of his work, I do believe. And here’s a good article that may explain the appeal better than I have. I should also point out that if any of these release dates are wrong, let me know. Sometimes when something’s been re-released it becomes difficult to pinpoint when it originally came out. This is two early albums now released as one. They are very similar. It might be correct to call these immature works, but then we all start somewhere, and musical technology wasn’t what it is now. The music is mostly sparse, ethereal synth mixed with Indian instruments and nature sounds, and I have to say, if you like those vintage synthesizer sounds, you will probably really enjoy this, as I do. It’s quite similar to the eighties works of Steve Roach and also Michael Stearns and Deuter. 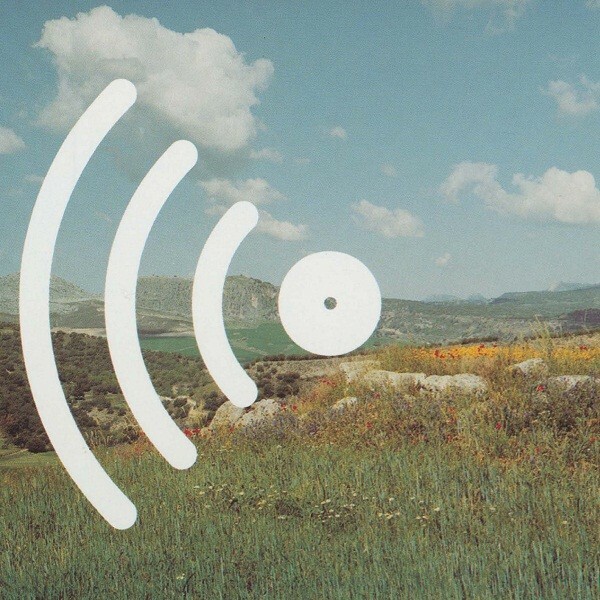 Dated, but in a good way and of interest to ambient music connoisseurs. Almost a decade later, Parsons came roaring back out of the gate with an album that showed his mature style basically fully formed. Himalaya uses a larger array of synth pad sounds and electronic percussion that faintly mimic the percussive sounds of Central Asia. The title track is a wonderful spacy drone piece that doesn’t, to these jaded ears, sound the least bit dated. “Kailasa” is darker, with percussion sounds that resemble temple bells. “Varanasi Dawn” brings to life exactly what it describes with Indian sitar sounds and nature sounds combined with a heavenly rush of synth, but in a genuinely tranquil way, with the concluding “Rishikesh” the nocturnal, darker other side of the coin. 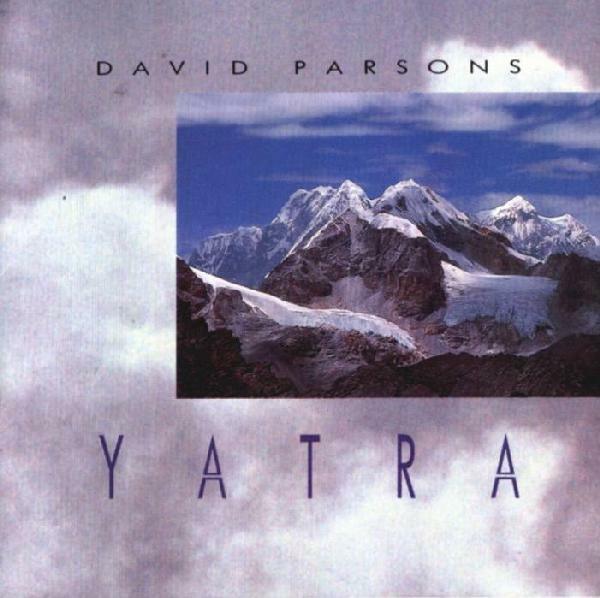 The massive Yatra is a staggering achievement and an ambient classic, a double CD set packed with long pieces that evoke all the mystery and majesty of the subcontinent. Interestingly, this album sounds a little more of its time than Himalaya, probably because electronic percussion has advanced so much since 1990, and there’s plenty of it on this album. So, some of the shorter pieces like “Bengal Village” and “The Himgiri” might not appeal to those who like their sounds super current, but the three 20-minute plus pieces, “Abode of Shiva“, “Maha Puja” and “Manasorovar” (which also contains some hypnotic monastic chanting), are not to be missed. Each sounds as lofty and cloudy as the highest Himalayan peaks, drifting on clouds of pads and on par with the best of Thom Brennan’s work. Dorje Ling is a big, dark monolith of an album, conjuring up the most mysterious, almost macabre overtones of Tibetan Buddhism. This ain’t super-pretty new age music. The tunes are mostly based on drones, with gong-like sounds, harsher sequencing and the sampled sounds of those giant and deep or shrieky and hysterical Tibetan horns, clattering percussion and the bass chanting of monks. There are moments of lightness, though, as in the cosmic swoop of “Tsaparang“. The title track is one impressively tense, ominous slab of dark ethno-ambient indeed, with those sampled monks sounding downright scary! Fortunately, the concluding “K-2” leaves us happily drifting away on some fluffy synth pad beauty. This is a great album. As the title indicates, this album leaves the mountains for Indonesia. Gamelan has fascinated myriad Western composers with its intricate and hypnotic percussion patterns. 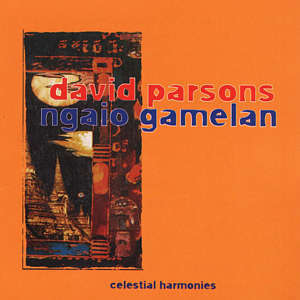 This is actually one of Parsons’ most organic albums, in which he basically lets the gamelan style be without messing around, and just plays with it, meaning that the synth pads are there but are used quite subtly, usually sublimated to the needs of the acoustic instruments and percussion. If you love rhythm, then this album is for you. 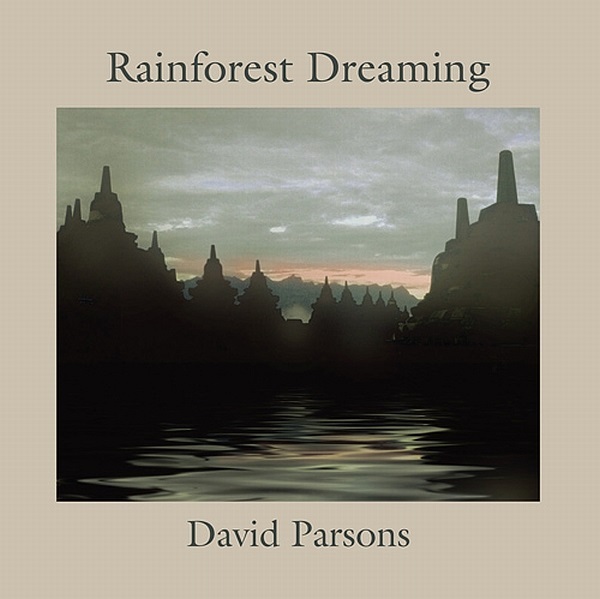 It’s not my first choice, but Parsons being who he is, I can declare that this is one of the finest Western gamelan fusion recordings I’ve heard, very beautiful. The concluding “Sarangi Saron” is my bag, since I love the bowed sarangi. This is an unusual album in the discography, very up-front with the sequencing and the beats, more energetic and upbeat than anything else Parsons has done. Which is not my bag, really. But I guess the aim is to be more like a Sufi dervish dance than a peaceful meditation, which is why tracks like “Whirling Into the Light” are almost rave-y in their intensity, and there are a few Middle Eastern sample moments. When taken on those terms, it is an artistically successful album, just not my favourite here. 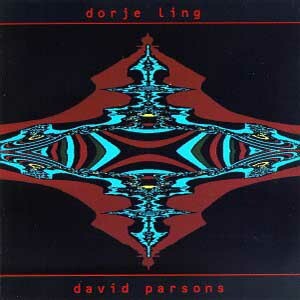 Plainly the style used on Dorje Ling stayed with Parsons, because it set something of a template for a number of future recordings. 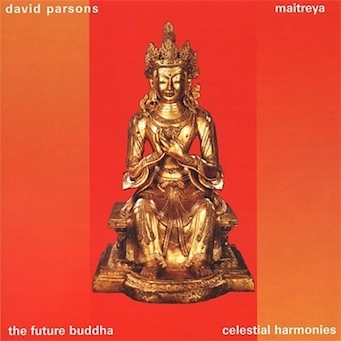 This Buddhist concept album uses many of the same motifs, the darker synth textures, chanting, bell-like sounds and other monastic samples such as cymbals and horns. Other tracks combine these Tibetan vibes with the Indian influences as heard on Himalaya. So, no new ground broken here, just another great ethno-ambient masterpiece (all of these are great for meditation, by the way, it stands to reason). 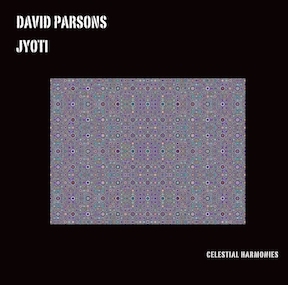 This album, while retaining a number of hallmark sounds from Parsons’ palette, also finds him moving further into pure ambient, meaning less reliance on samples and more on the toolkit of an ambient musician. A number of tracks still do feature Indian/Tibetan samples. The album is also less easy to pinpoint in terms of ethnic influences, being more generically Eastern-tinged. Still, there are some great tracks on here, even if it’s not Parsons’ finest. “Above Clouds” is a very pretty drone-based piece. 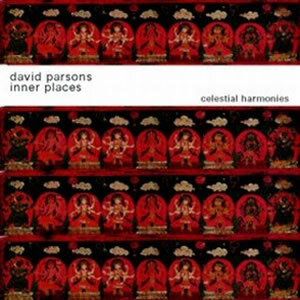 Inner Places is aptly titled, since this is the most abstract and avant-garde of Parsons’ albums, which we discover right away on the almost atonal “Pahla Loka“, which does develop into a more melodic piece as it goes along, but very dramatic and dark-hued. The Indian music influence in the compositions is tonally there but not so obvious. The gong-like sounds are allowed to linger and echo on “Dusra Loka”, while the field recordings and bells on “Chautha Loka” are more contemplative than ever before. 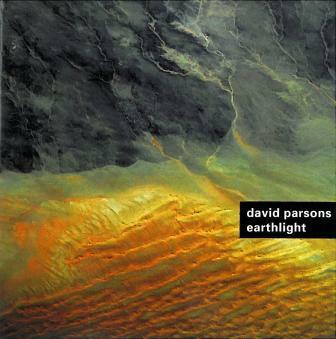 A rather different album for Parsons, but one of the best abstract ambient albums I’ve got, and beautiful from start to finish. 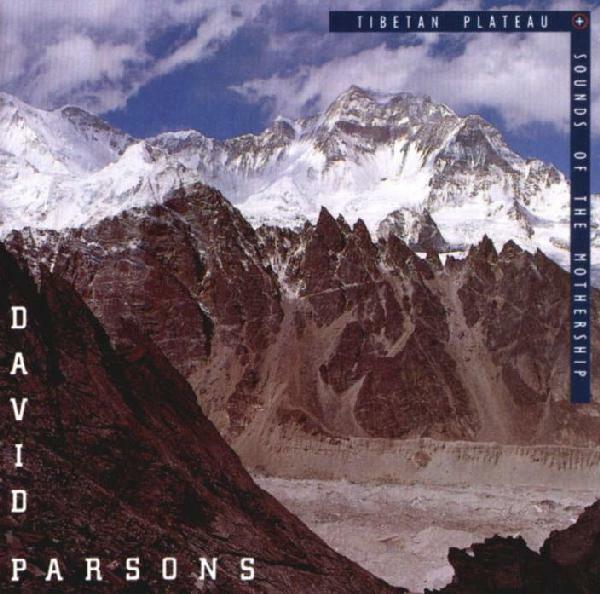 This is my favourite of Parsons’ albums, though I can’t quite say why. Certainly it’s the most generically ambient of the lot, in all the good ways. The swirling phased ambiance of “Altai Himalaya” is very beautiful, as is the quite modern light ambient of “Beyond the Light”. And the aptly titled “Bathing Light” is maybe his best long-form track (over 20 minutes), the best music for meditation in my entire music collection, starting moody and sparse then ending with several minutes of sedate, shiny and glittery sequenced synth patterns. All’s I can say is if you like ambient music at all, you should really listen to this album. This album revisits and updates the sort of vibe to be found on Ngaio Gamelan, though it does not have much in the way of gamelan sounds, being based on more subtle sequencing. It’s a cheerier album of tropical ambient — you can feel the steam of the humid jungle coming off these tracks. The highlights for me are “Forest Moon“, which has lovely gliding pad sounds (as you know, I like that a lot) and “The Procession of the Monks”, which has some sarangi. This is a non-essential release, but like all of these albums, well worth owning. 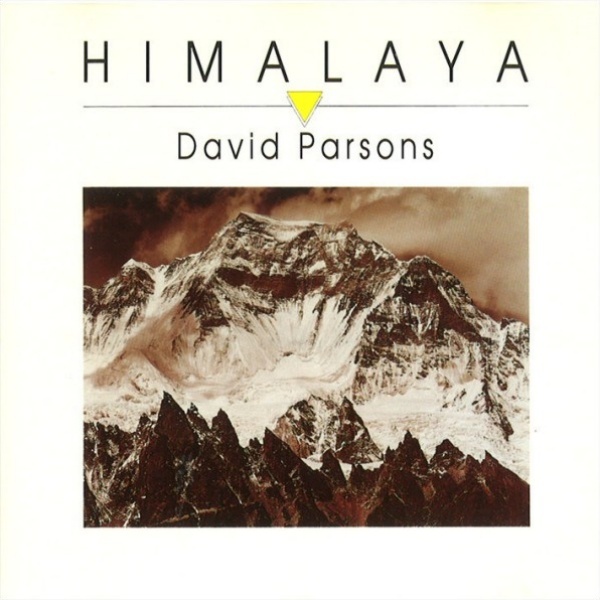 This record starts with the very Steve Roach-like “Beyond the Pass”, at least until the sarangi starts up, then it’s classic Parsons. This album is very much rooted in the Indian side of his output. Not sure I can add much except to point out some highlights — “Approaching the Holy Mountain” is slow, dark ambient. “Sojourn in Kulu Valley” is reminiscent of the classic tracks on Yatra. A little bit more of a standard Indian/ambient/new age fusion album, but from the hand of a master, so it’s still great. Jyoti‘s spartan album cover art is quite indicative of the music within. Like Earthlight, this is pure, unadulterated spiritual ambient. The title track is like a ray of sunshine piercing your mind with its airy pads and glittering sequenced parts. The rest of the music on the album is tense, almost minimal in comparison to his other releases, and relying heavily on sweeping, heavily reverbed synth pads. More of a internal journey into the soul than an ethno-ambient outreach, this feels like very personal music. Akash picks up where Jyoti left off with more droning, sweeping synthesizer music that places Parsons squarely in the venerable camp of ambient masters like Roach and Brennan. There’s nothing new being revealed here, just more awesome mystical ambient music that has few equals. “Mandala” is probably the highlight, a distillation of all that’s best about late period Parsons, lovely pads, subtle beats and a melancholy but uplifting atmosphere. I had to look up what a “pad” is, musically speaking! This is a new genre for me. Yeah pretty geeky stuff synth weirdos are into.